Music fills the air at YHS in December. 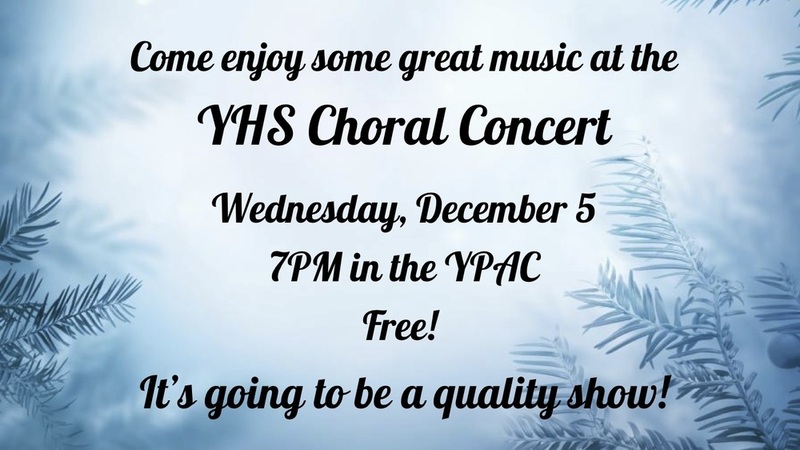 We would like to invite you to our winter music celebration with an Instrumental Concert on Tuesday, December 4th and a Choral Concert on Wednesday, December 5th. Both begin at 7 pm and feature our exceptionally talented musicians, many of whom recently earned district honors (please check our Twitter feed for a complete list of names and recognitions).